A great character will make your script shine and the first thing to do is get to know them yourself. Whether they're a human, an animal or an alien, get to know what the world looks like through their eyes. Lots of writers including Jimmy McGovern (Broken and Banished) start by thinking about the story and think of characters who can affect this story. Others like Jack Thorne (Skins, Shameless and The Fades) says he often physically moves like his characters to really get into their skin! Watch this Writers Room video about developing characters for more tips. Great characters aren't totally normal, they're memorable. They experience strong emotions that your audience can relate to, are rarely perfect and often have a goal (or flaw!) that drives them towards resolution at the end of your story. Make people see the world as your lead characters do and help us empathise with both your heroes and villains so they experience the tensions in your narrative. For example, are they funny, selfless or strong in the face of adversity? Think about great characters you know in real life and your favourites on screen too, what is it that drives them? What makes them appeal to you? Lots of scripts fail the BBC Writersroom 10 page read because they feature passive protagonists which things just happen to. Make your lead character drives the action. Use the writer's mantra and remember that you don't have to have loads of backstory for your audience to wade through for each new character. Show off your character through their physical actions, thoughts, feelings, words and senses rather than your own description of them. At the BBC Writersroom we read the first ten pages of a submitted script to decide if we should read further. For radio, you only have one minute of air time to grab the audience's attention. That's about one page of writing! Introduce your lead character early so that people can start emotionally investing in your story. Put your character into a time and place with a couple of other characters and help us understand how they interact with the world. And don't underestimate how a strong character entrance can colour your audiences' whole image of them! Master script editor and writer Andrew Ellard suggests getting your characters to interview each other. Describe your new lead character through the eyes of one of your other characters. Describe them through one carefully chosen physical trait such as an item of clothing or a mannerism. Think about what they would take on trip away from home. 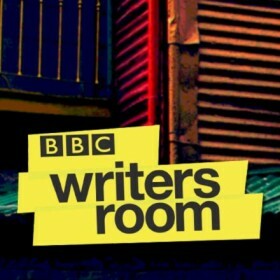 Please note that The BBCWritersroom team will set you Script Gym challenges each month, but we will not be involved in reading or giving notes. You can also join the other Mixital writing communities, including Doctor Who, Class and The Social.